Paul, I certainly agree. It doesn't even come close. Kamehameha is as close to Windfors/Monroe-Miller/Ballieres as Klotsche-Soiero is to Burlingham, or Aaron Spelling's 50,000 sf pile is to Chantilly Chateau. This is all about big bucks not having a clue. 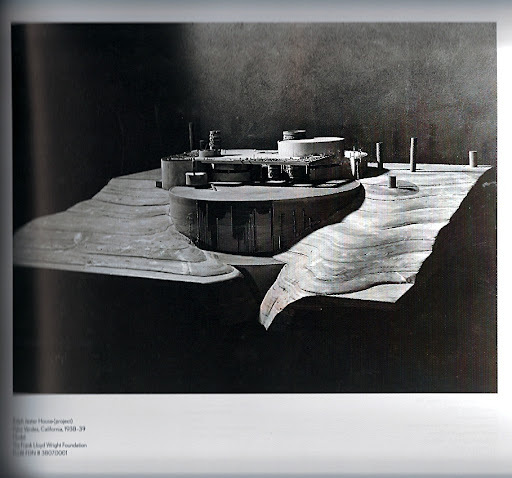 I just learned that there is a six page article about the Klotsche "Pottery House" in issue #41 (August/September - 1987 - pp 26-31) of "Fine Homebuilding" magazine. No telling if back issues are available, but it might be worth trying to contact Taunton Press - and/or keep a search going for it on eBay. "The two things I find disturbing about Pfeiffer are the change of scale and the reduction of the entire structure to a single material." A beautifully conceived design, using stone and plywood, the latter in a form that embraced the cutting edge technology of the day. Designed as a house for a bachelor, the interesting spaces were beautifully scaled for one person, and for many. I wonder how many architects -- and builders ? -- imagine that a piece of 1/2" plywood (say) can easily be bent to the radii shown in the Jester design. "Bent plywood," whether at the scale of furniture or of architecture, is most successfully shaped by being laminated into its desired curve over or within a form. Vacuum technology is a more recent addition to the arsenal of the wood-wrangler. As with so many other building issues, it is the edges (the ends of the curved plane) that present the most trouble, when making a warped plane. I have taken the liberty of combining info already presented in this thread. I am attempting to create a comprehensive list as well - but I have turned it around and focused on the actual built structure & its location, as I will be traveling soon and want to make a quick visit to any sites on my route. Here is my list - please let me know if there are more to add. 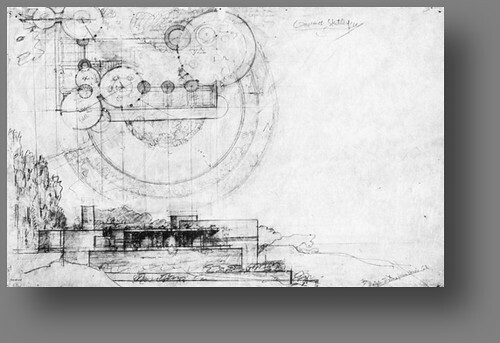 Lloyd Burlingame "Pottery House" (1940) - El Paso, TX / Klotsche-Soiero Residence (1984) - Santa Fe, NM - Frank Lloyd Wright's "Pottery House" & Article on Klotsche "Pottery House"
I've decided to arrange the list in chronological order based upon Wright's plans. As time permits, I hope to be able to further refine the accuracy of the information. Please contribute any knowledge you may have - either here in the thread or in private to me - that can help improve what is already listed, as well as of any homes not yet a part of it. Thank you. Im arriving too late to this thread. is no good. does anyone have any images of this house built? is great. I would love to see even more images of this one. Wow.